Atria Books/Beyond Words, 9781582705187, 272pp. "Cardillo (Be like Water) tackles the mind/body connection with a book intended to help readers achieve a “vivid, brilliantly experienced life” by identifying and using the body’s energy sources. 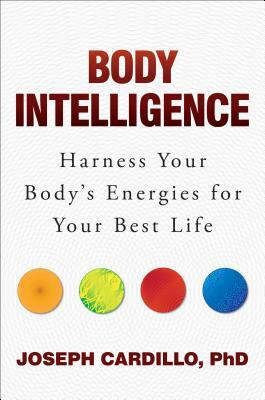 After discussing how energy affects one’s overall life, he segues into teaching readers how to identify their energy needs, sharing valuable insights and exercises for boosting alertness, personal strength, and memory, and reversing stress, aggressive feelings, and obsessive thinking. Mindfulness is at the heart of every chapter, as Cardillo identifies the power of emotional memory and explains how implicit memory combines with the flight-or-flight response without conscious effort. “Implicit memory can be dangerous when combined with a negative mood and rapid changes in your blood chemistry,” he warns. Cardillo gives readers reliable tools for addressing tough situations, including emptying one’s mind to eliminate stress, combining the energy of music and art with positive memories to improve one’s mood, and using what he terms power words to enhance memory and view stressful situations from a detached perspective. He also emphasizes that this isn’t a one-size-fits-all proposition; what works for one person might not for another. Written with an empowering and empathetic tone, Cardillo’s latest work is likely to join his earlier Be like Water on lists of mind/body classics."